Baritone Andrew Costello brings with him a wealth of performance experience, having sung more than twenty-five leading operatic roles in the United States and Europe. His accomplishments range from the baroque music of Monteverdi to the advanced tonalities of contemporary opera. Mr. Costello returned to Des Moines Metro Opera as Scarpia in Tosca. He recently gave a recital in Milan, Italy, honoring the legacy of baritone Renato Cappuccilli. He also recently debuted in the title role of Der Fliegende Holländer in New York City. Mr. Costello’s career began with Glimmerglass Opera in L'Incoronazione di Poppea, directed by Jonathan Miller and conducted by Jane Glover. 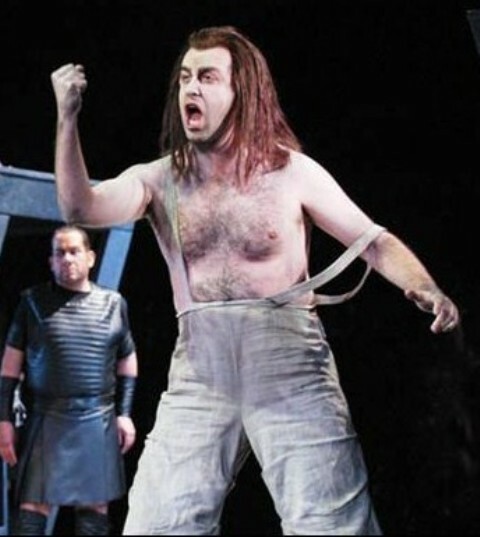 He has since appeared with, among others, the Atlanta Opera and Des Moines Metro Opera, where he made his debut as Jokanaan in Salomé. Notable roles include Don Alfonso in Cosi fan Tutte, Alfio in Cavalleria Rusticana and Alidoro in La Cenerentola. As a concert soloist, Mr. Costello made his debut at Carnegie Hall in the Mozart Requiem and was invited back to sing in Handel's Messiah. Mr. Costello’s career in Europe was launched when he won the auditions for the prestigious International Opera Studio of Zürich. This success was followed by appearances with Cologne Opera, Bremerhaven Opera, the Neubrandenburg Philharmonic, Mecklenburg Landestheater and Stadttheater Giessen. His performances include: Mephisto in The Damnation of Faust, the Four Villains in Tales of Hoffmann, Mephisto in Louis Spohr's Faust, Escamillo in Carmen, Pizarro in Fidelio, and the High Priest in Samson et Dalila. A native of New York City, Mr. Costello was born into a musical family, where he was instilled with a love of music. He was first recruited to sing at the age of four by the local church choir director, his mother. His father, clarinetist with The Florida Symphony, taught him clarinet and music theory. Metropolitan Opera Baritone, Abe Polakoff provided his vocal instruction.